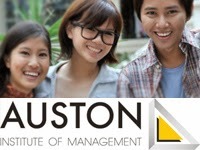 'Auston Institute is a subsidiary of Auston Institute, Singapore and this institute is University partner in Coventry university. They provide various courses under Engineering and Business Disaplene . Following are several courses conducted at Auston Institute Sri Lanka. Most of Degree offer by institute is recolonized by United Kingdom and they offer the courses for best price in Sri Lanka. B.Eng (Hons) in Computer Networking and Communication Technology. B.Eng (Hons) in civil Engineering.